Graduated with Bachelor of Business from Queensland University of Technology in 2012. Originally from Brunei, Walter came to Australia in 2009. He speaks English, Mandarin, Cantonese and Malay. He has been assisting in the migration industry since 2013 and is experienced in Student, Work and Family visa. 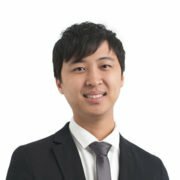 Walter understands the difficulties faced by clients in the process of getting an Australian visa, he works passionately to achieve a smooth process for the firm’s client.